How To Improve Reading Skills Through Sustained Silent Reading. Great for preventing summer setback. You know that I love the book The Read-Aloud Handbook (affiliate link) by Jim Trelease. Seriously one of my favorite books ever. My favorite, number one tidbit of information in the book is on Sustained Silent Reading (SSR). SSR is reading silently to yourself for pleasure. You read what you enjoy. Magazine, newspaper, scriptures, novels, parenting books…whatever it is you enjoy, you read it. The idea is that reading for fun gets you reading, and reading a lot makes you a better reader. “Reading is a skill–and the more you use it, the better you get at it. Conversely, the less you use it, then more difficult it is” (page 84). 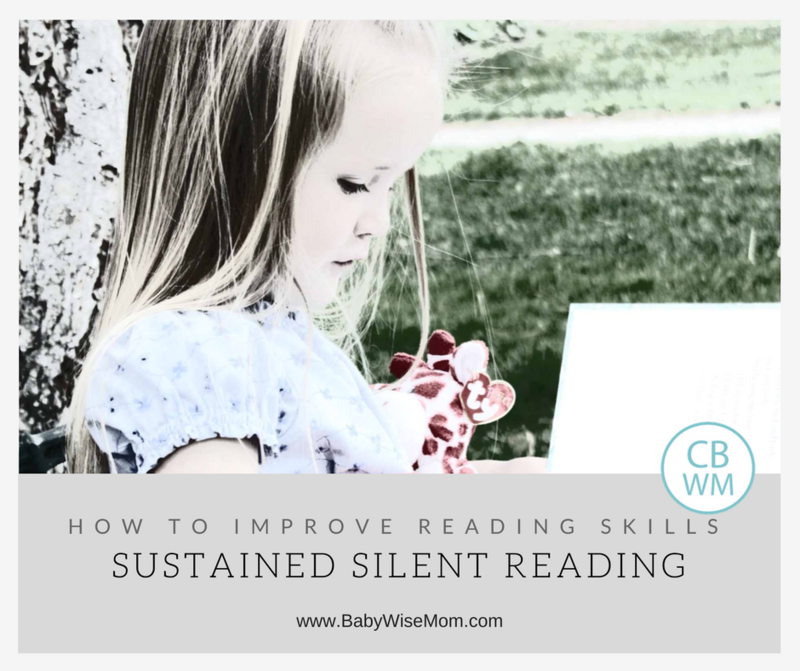 Why Do Sustained Silent Reading? SSR is meant to be informal with no quizes and no grading. This teaches children that reading can be for pleasure. I have always been a big reader. The time in my life where the amount of time I spent reading dropped significantly was in seventh grade when reading became less about enjoying reading and more about the grading associated with reading. 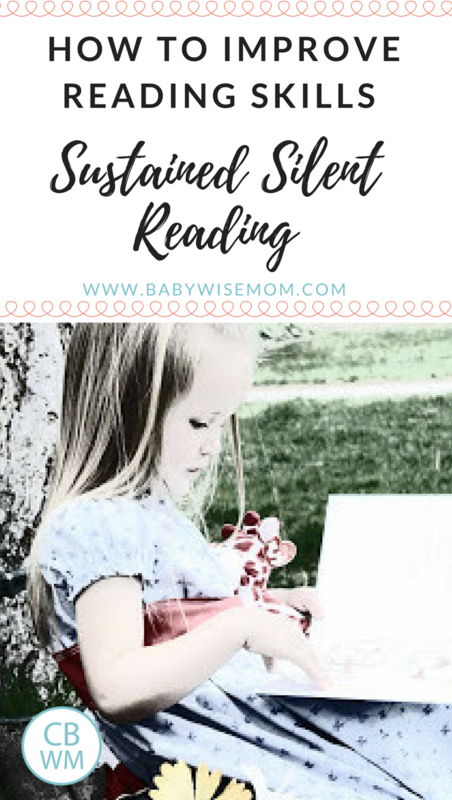 In young readers, the use of SSR shows improvement in both attitude toward reading and skills for reading. It increases vocabulary. “…printed material introduces three to six times more rare words than conversation does” (page 86). Start with SSR being 10-15 minutes long at first. You can add time as you see your child is ready for it (and often the child asks for it to be longer). The child chooses what to read. Have a variety of available material. Newspapers, magazines, novels, picture books…any type of reading that is approved by you is okay. To keep material fresh and interesting, take advantage of your library. You can also subscribe to the newspaper and one or two magazines that would interest your child (my kids love National Geographic for Kids). Research shows that “the more kinds of reading material in a home the higher the child’s reading scores in school” (page 90), so don’t feel like if your child chooses to read the paper it is worthless time spent reading. Choose a time of day you can be consistent with. You do SSR, too. 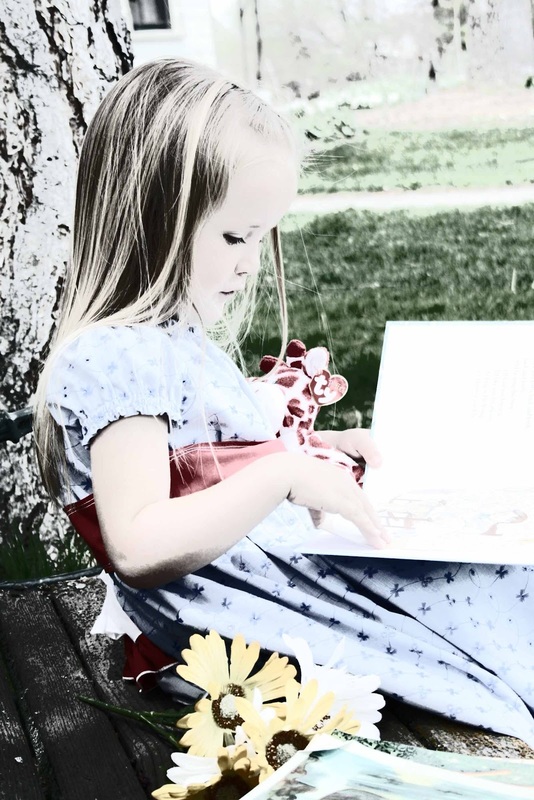 This is very important–the child will benefit greatly from seeing you read. No changing your material once SSR has started. No reports required. This is for fun. Since this is my favorite aspect I have taken from this book, you know we have implemented it. We started it a little over a year ago. It went very smoothly. The children love it. This summer has been especially rewarding to me. Brayden can now read well, so SSR is more than just looking through books for him. In one week, he read five chapter books completely on his own. I think that is great! When the children cannot read yet, they still love SSR. They look through books and magazines. We do it in the afternoon and for 20-30 minutes. We all sit in the same room, but in our own space. One person per couch/chair/beanbag. I like it in the afternoon in the summer because it is a great physical and mental break from the activity of the day. The children come in from the heat, sit in the cool house, and just relax for half an hour. We follow the rules as I listed above. I love SSR for me, too. It is hard to sit and read daily as a mom–especially while your kids are awake. This is time they do not interrupt me while I am reading. Do you think it's ok for SSR to be during rest time? My daughter "reads" all during her 1 hour rest time. Do you think I need to add additional time outside of that? Mollie, so sorry for the late response! Personally, I would add some SSR. I know moms who count individual reading as SSR, but I do think a huge component of it is the witnessing mom or dad reading at the same time. It is a family activity :). So I would, but I know not all would agree with me. I do think Trelease would agree. A what age would you recommend starting SSR?